This panel was the first completed in the series. The title is taken from Pirkei Avot, “Ethics of the Fathers,” which is one of the earliest segments of the Talmud, a body of commentaries and legal precepts drawn from the Bible. The saying, attributed to Ben Zoma, is supercribed at the top of the panel. 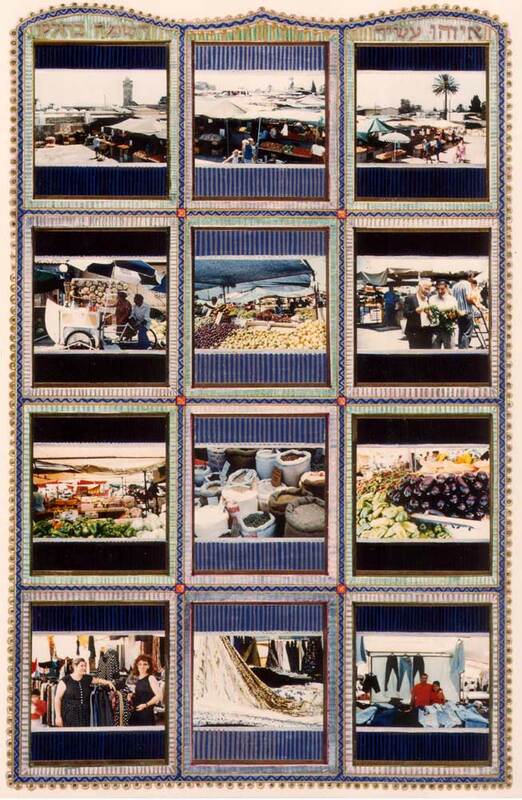 The photographs were taken at the outdoor market, or shuk, in Ashkelon, Israel.